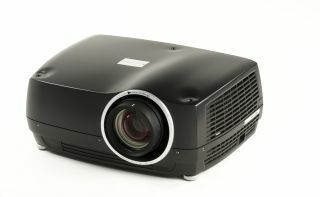 At InfoComm09, Norway’s projectiondesign will lift the wraps off the brand new FL32 projector, the company’s first LED-based projection system which promises ultra-low maintenance and ultra-low energy consumption. The FL32 has no limits on installation orientation and can be used in any configuration including front and rear projection applications. These range from single and multi-channel systems, 24/7 process control monitoring, advanced visualization, 3D stereoscopic, simulation to curved domes as well as single-screen video. The FL32 can be seen on the projectiondesign booth #3761 at InfoComm 09 at the Orange County Convention Center, Orlando, FL, from June 17–19 2009.